Please contact us for pricing on specific models. 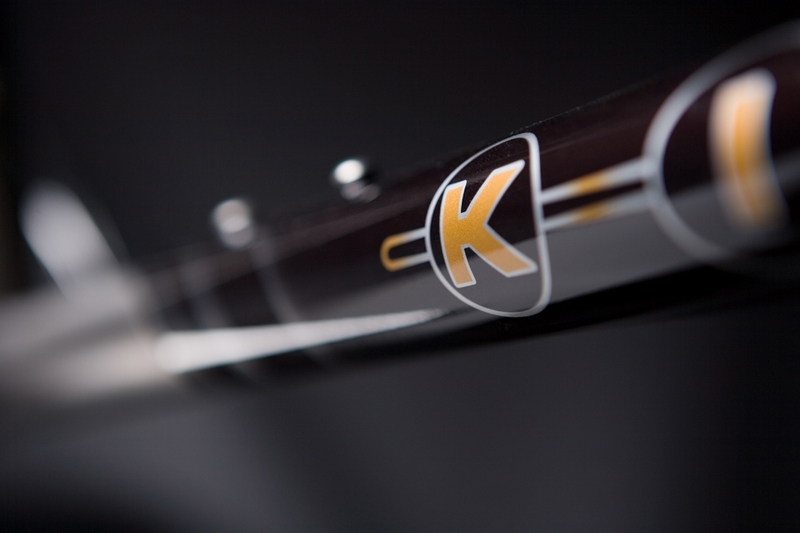 All Kish titanium frames come with a brushed titanium finish and a decal set in the color of your choice. 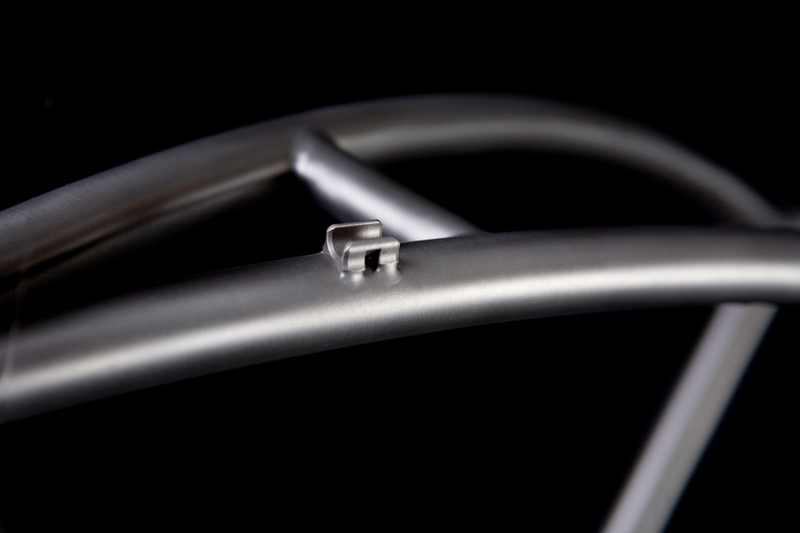 All of our mountain bike frames are built one at a time, not in batches. Each one is unique - built for a specific rider with specific needs. 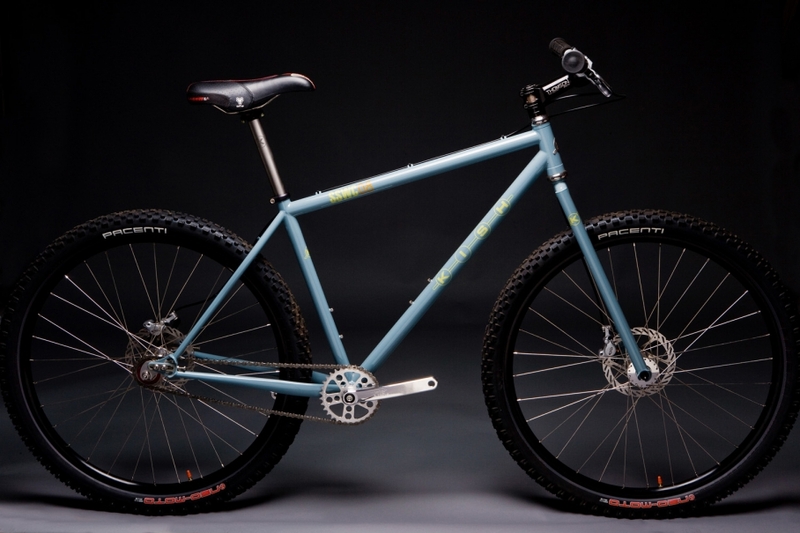 Check out the features that make our mountain frames so sought-after. 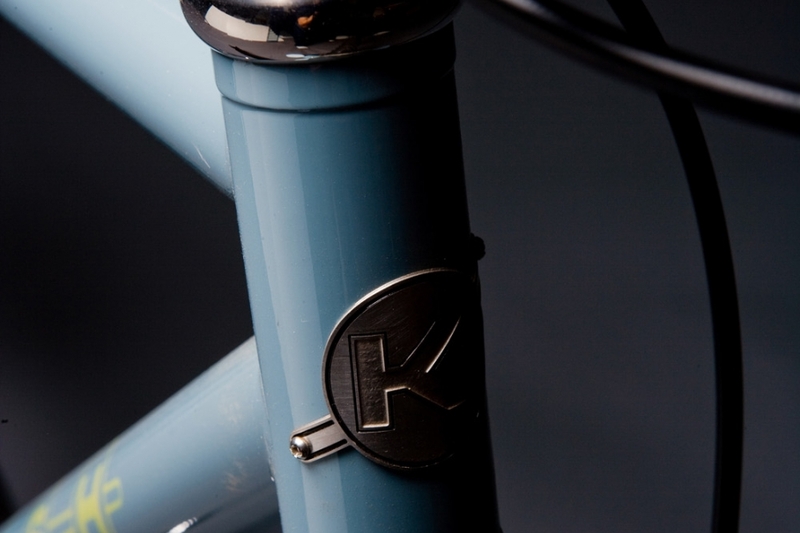 Some of them you’ll notice immediately: graceful s-bend chainstays and seatstays; oversized main triangle tubes for optimal stiffness, Wright Brothers-style vertical dropouts. 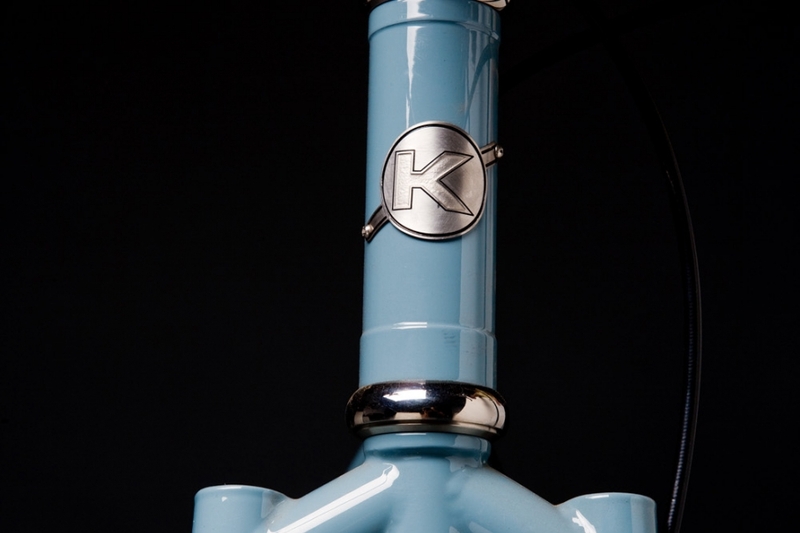 Some you might not notice: The machined head tube. 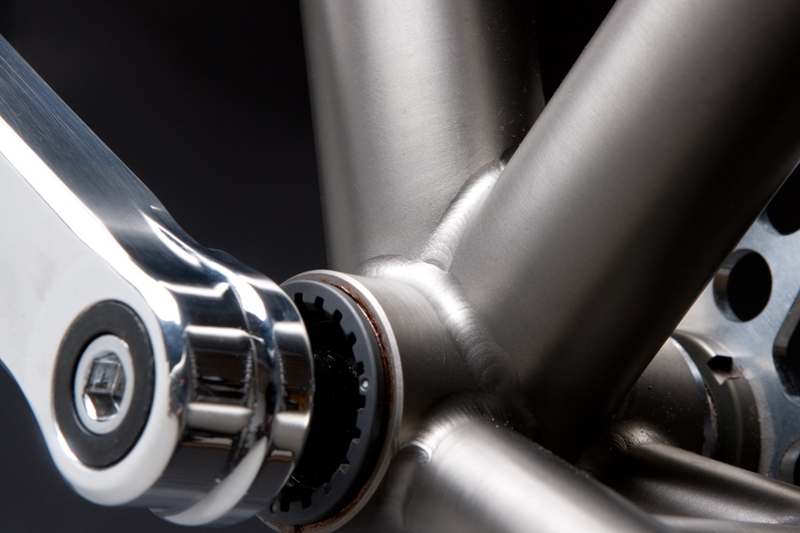 Or the welded-on (not riveted on or pressed in) bottle cage bosses and cable stops. 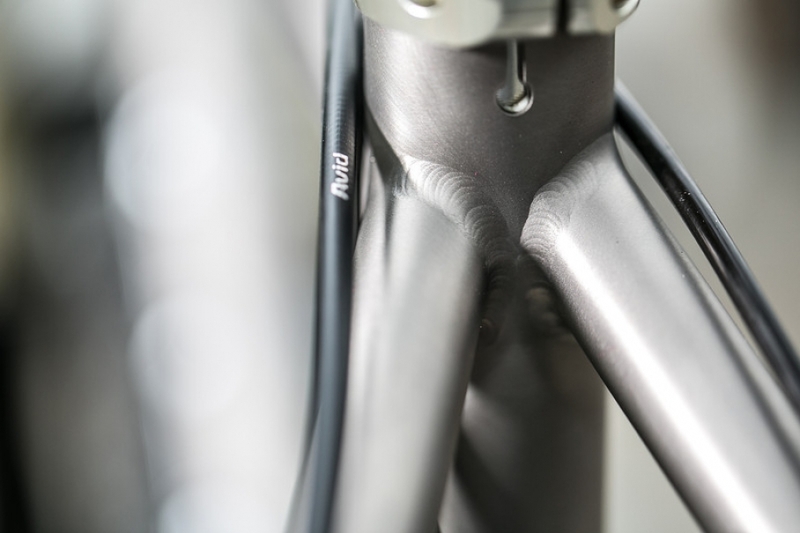 Also invisible but significant: A machined reinforcing sleeve is pressed and welded in to line the top of the seat-tube, effectively butting the top few inches of the seat-tube. Other builders merely drop in an aluminum shim. 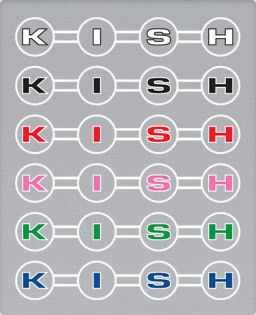 A Kish mountain frame will feel lively but, believe us, it is plenty sturdy. It will perform flawlessly in cross-country races, cruising your favorite singletrack or just bombing around town. 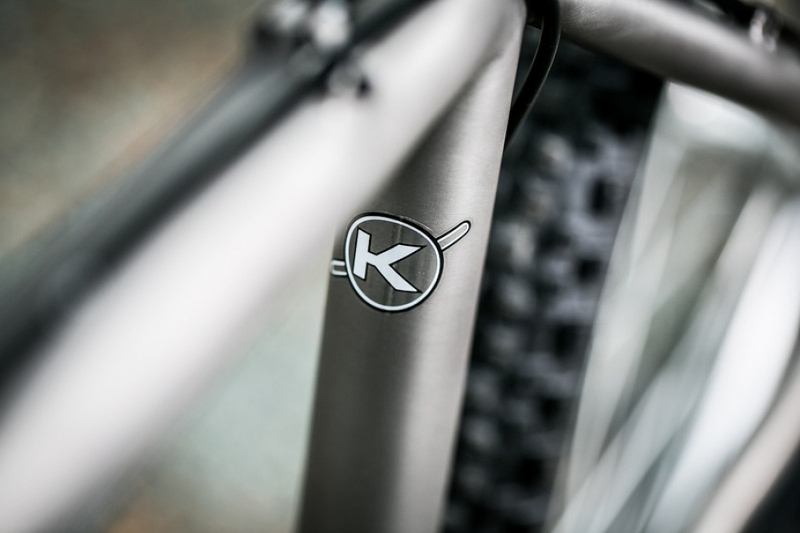 Tube dimensions and geometry are chosen specifically for each rider, so whether you’re a Featherweight or a Clydesdale, your bike will give you the performance you expect from a Kish. We build with 26”, 27.5” and 29” wheels. 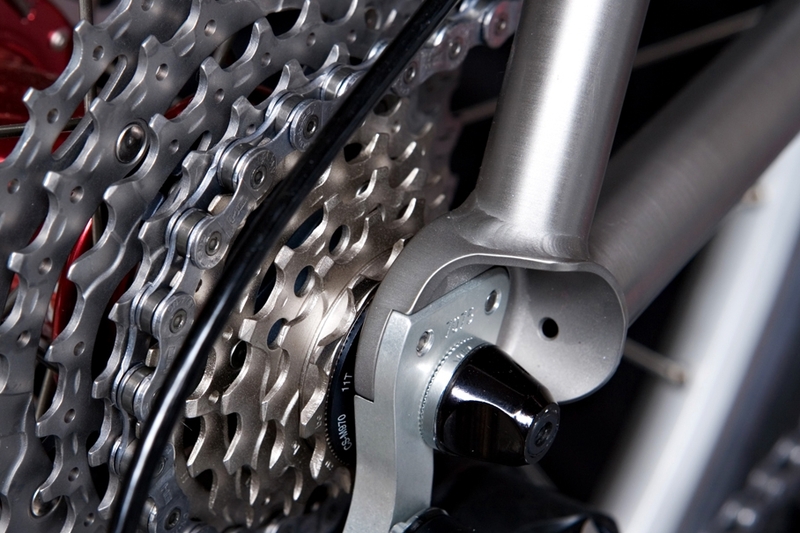 We make them in single-speed or geared form. We’ll build any size, color or shape your heart desires. Please contact us to discuss proper fit and the myriad other options available to you. 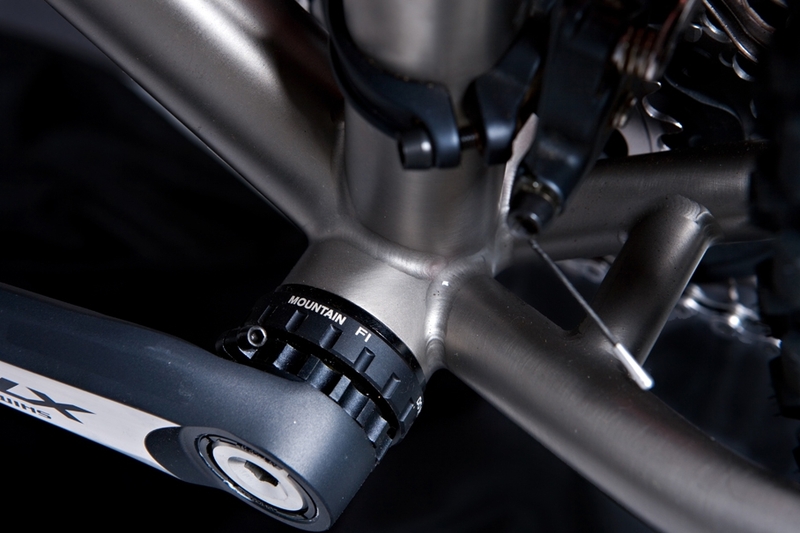 Our mountain bikes are designed for use with 100mm travel cross-country suspension forks. If you are planning to use anything drastically different, please let us know. Note: We measure seat-tube length center-to-top (of the top tube) along the centerline of the tube. Top-tube length is an “effective” number, expressed as if the top tube were horizontal, a more reliable method than measuring along a sloping tube. Note: Build kits can be customized to fit your needs. The build kits listed here are composed of parts that we feel provide a good combination of performance and value.